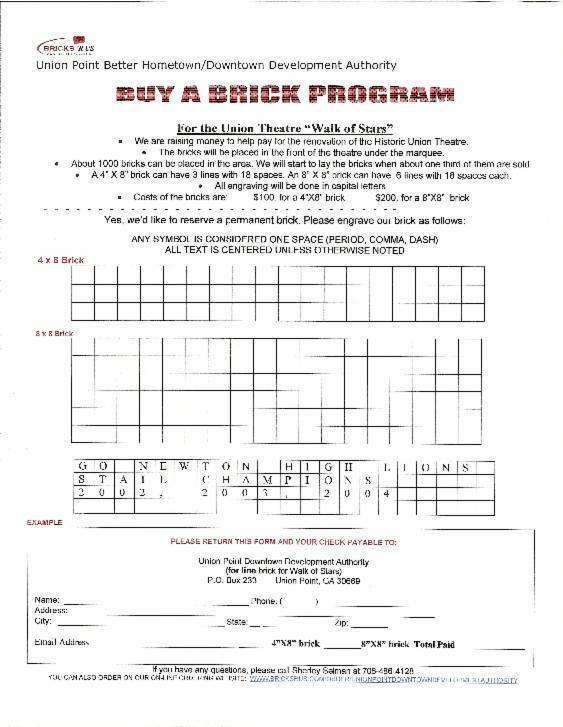 Former students, consider having your fellow class mates order a brick to honor your class year. We have orders from the classes of 54,55,56,57,and 60 with promises from 59 and 60. Don't be left out. 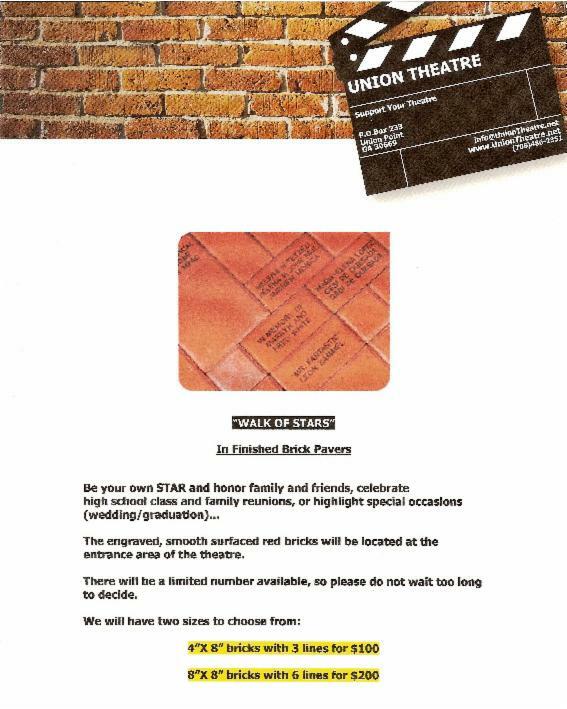 For any class ordering an 8 X 8 brick, Union Point Better Hometown will have the Union Point "Blue Devil" put on the brick for free. It can be added to personal bricks for $10.00 per brick.